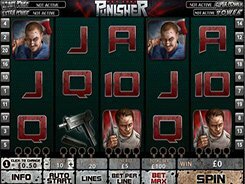 Punisher War Zone is a 5-reel 20-line slot based on the Marvel comic book. The bet range per spin is $1–$100. 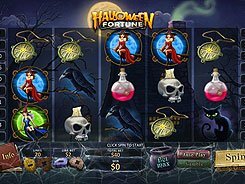 In this slot machine, you will come across the symbols of Frank Castle, the Punisher logo, playing card signs, weapon, the skull, etc. Frank Castle, the wild symbol, pays out the maximum jackpot of up to 10,000 times your initial bet if five of them line up on your active payline. 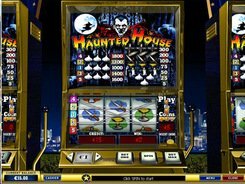 Here you are in for a pleasant surprise as the slot has four jackpots accessed to randomly while spinning the reels. In the jackpot game you will see a grid divided into squares with some symbols hidden behind them. You have to choose three squares to win a jackpot. The game is time limited, so try not to lose your great prize opportunity. The Skull is the bonus symbol. 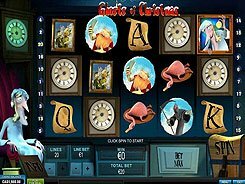 Four of them landed on the reels grant a cash prize of x4 times your original bet and five free games with a x2 multiplier. PLAY FOR REAL MONEY!